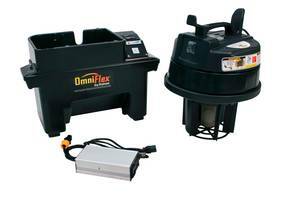 Kaivac's new OmniFlex™ Battery Retrofit Kit is powered by a Lithium-Ion battery. 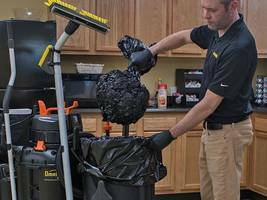 This 16-pound, lightweight system makes it easy to transport Kaivac's AutoVac™ or Dispense-and-Vac cleaning systems up and down stairways. 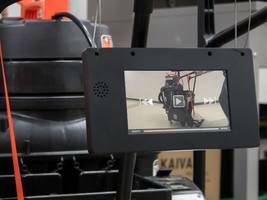 The battery provides consistent power and loses power slowly, allowing cleaning workers to get more work done. The system has an easy-to-read on-board gauge indicating how much battery charge is left, and can be charged to full capacity at any point in the discharge cycle without damaging battery cells.